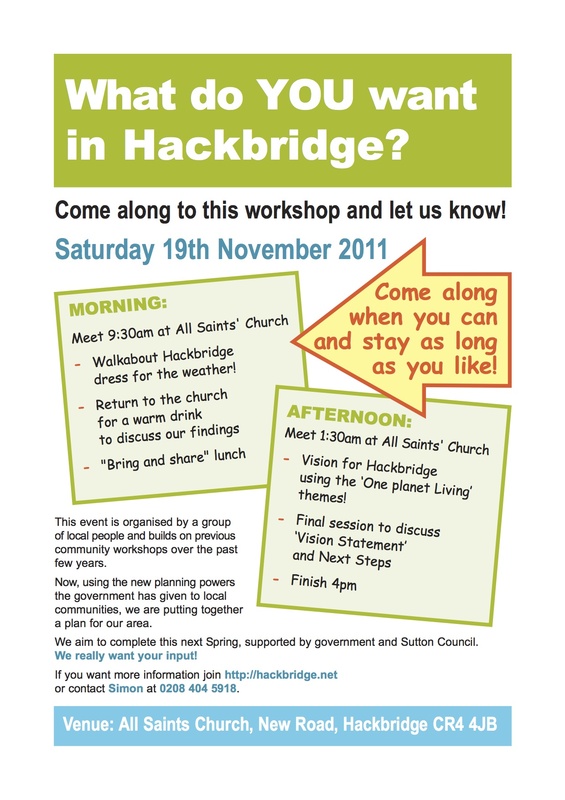 A Visioning Day was held at All Saints Church on 19 November 2011. The reason for it was encourage residents and local businesses to revisit all of the excellent work already undertaken by the community of Hackbridge to enable it to be used to inform the idea of a neighbourhood plan under the new powers of the Localism Act. The day involved various talks, presentations and a variety of different walking tours of Hackbridge. The outcome of the day provided what the NDG took forward to the next stage in terms of a vision.